Every year on 8 February, Slovenia celebrates its National Day of Culture in honour of the great 19th-century poet and cultural iconic France Prešeren, which is not only a work-free holiday but among other events and festivities the vast majority of the country’s cultural institutions offer free admission to the public. 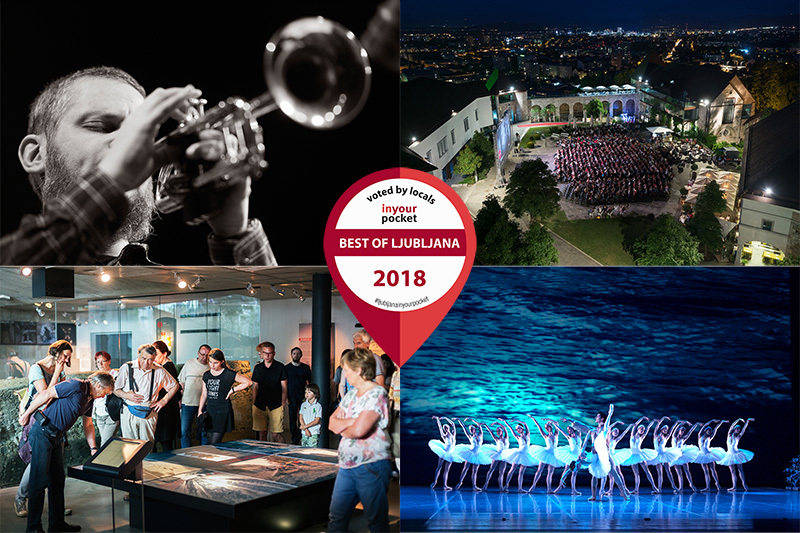 At Ljubljana In Your Pocket each year we mark the event by asking our readers help us select the best of the city’s culture, and 2018 has special significance, as it’s been officially recognised as the European Year of Cultural Heritage. To mark the occasion, we’ve pulled out all the stops and expanded our usual handful of categories to a total of nine, in order to more fully cover the diverse cultural scene in the capital city. Voting will be open from 17 – 31 January, and votes* can be cast once per week. The winners will be announced at a special event on 7 February, with the results also being published in the forthcoming March-April edition of our printed guide. Thanks in advance to all the voters and best of luck to all of the finalists! *Please don’t cheat on our poll. By cheating, we mean using technological means to vote multiple times in the same poll. Individual computers, phones and other devices are allowed to vote once per week for the duration of the competition. Unfortunately, as Edward Snowden can tell you, nothing on the internet is 100% secure. Nevertheless, we take every reasonable precaution to prevent cheating in our polls, and we also reserve the right to not count votes that were obviously cast through illegitimate means, and/or take other necessary action in such circumstances. If you decide to cheat anyway, please don’t get angry and threaten us with legal action when/if we catch you. We are only trying to keep the polls as fair as possible, and we can assure you that we NEVER favour one venue over another. We honestly don’t care who wins any given poll, as long as the votes of our readers are counted fairly and equally. If you’d like further explanation of our rules or have any questions regarding our poll, please feel free to email us at ljubljana@inyourpocket.com.